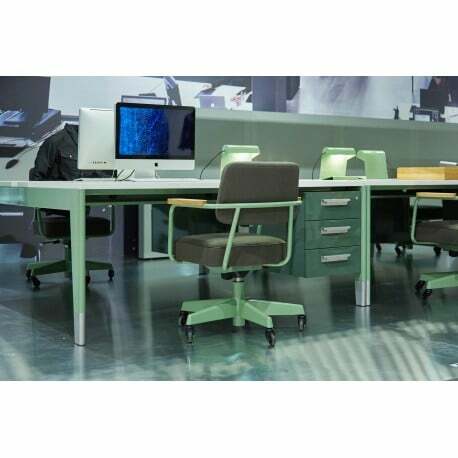 This design classic Lampe de Bureau by Jean Prouvé belongs to the Prouvé RAW crossover collection by Vitra and the Dutch fashion label G-Star RAW. It is the perfect combination of functionality and aesthetics. You can add a decorative accent to both offices and homes with this practical luminaire. 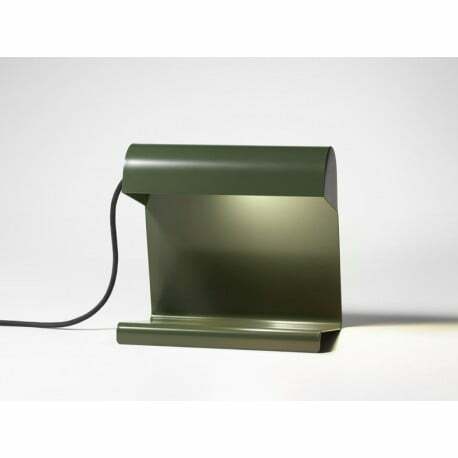 Lampe de Bureau by Jean Prouvé is made of bent sheet steel with a smooth powder-coated finish. And it has a textile-covered cable recalling the materials common at the time of its creation. One light bulb included (20 watt halogen lamp).